XTAR-LANT, at 30 degrees West longitude, was launched and entered service in 2006. 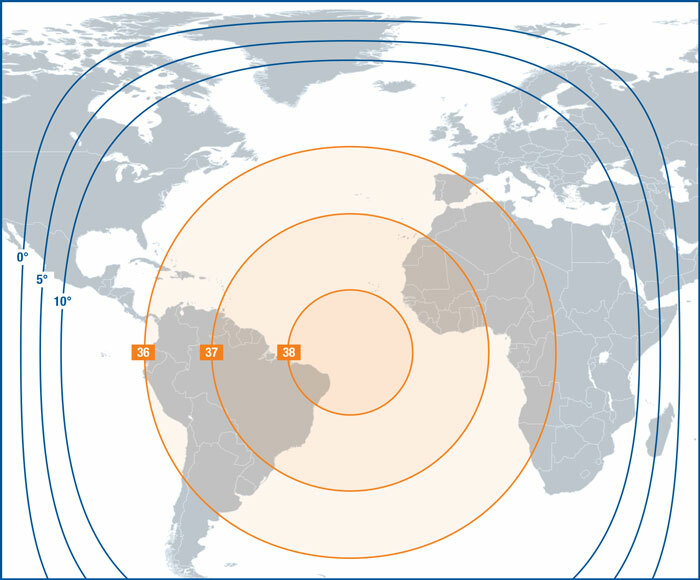 It enabled XTAR to inaugurate commercial X-band services in North America for homeland security applications as well as one-hop connectivity to Europe, Africa, Latin America, and the Middle East. The extremely flexible XTAR-LANT payload covers a large geographic area. It carries a global beam, a fixed spot beam over the Eastern U.S., and three spot beams that can be relocated anywhere within the satellite’s coverage area.